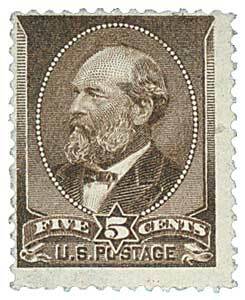 U.S. #205 was intended to be printed in black as a mourning stamp, but Garfield’s wife preferred brown. On July 2, 1881, an assassin shot President James Garfield just four months into his presidency. The last of the “log cabin Presidents,” James A. Garfield was born November 19, 1831, near Cleveland, Ohio, to impoverished farmers. The youngest of five children, he lost his father just two years later and spent much of his childhood working on the family farm to support his near-penniless mother. U.S. #1 features a portrait of Franklin based on a painting by Jean-Baptiste Greuze. On July 1, 1847, America’s first postage stamps were issued. 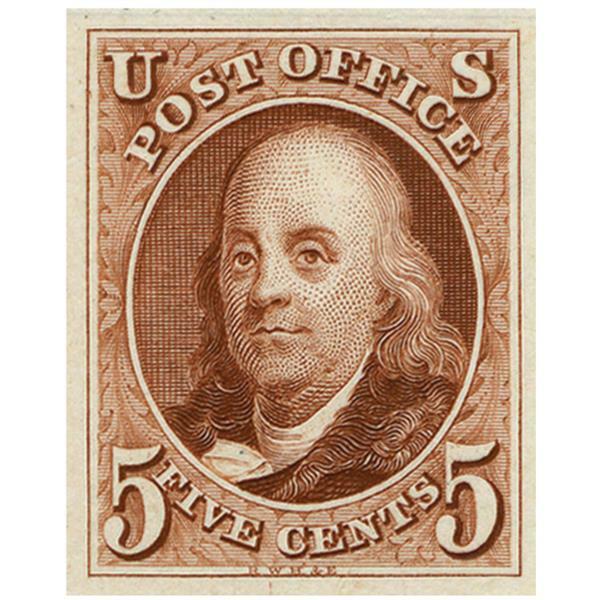 In the 1840s, United States postal authorities were carefully watching the world’s reaction to Great Britain’s Penny Black – the first adhesive postage stamp. An adhesive stamp was being considered for use in the U.S. and when Robert H. Morris, postmaster of New York, proposed issuing a provisional stamp, there were no objections.